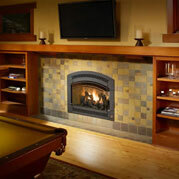 Portrait Style Gas Fireplaces are a cozy and convenient way to provide the warmth and beauty of fire to rooms not normally considered for fireplaces. They’re designed to add the beauty of fire and warmth to limited space installations in small, intimate settings such as bedrooms, bathrooms, dining rooms or kitchens. 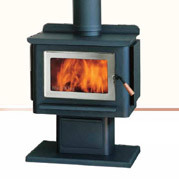 The realistic flame along with the heat output, can be easily adjusted with our Comfort Control ™ gas valve. 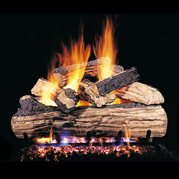 This component allows you to turn the gas input down to 77% while maintaining the fire and glazing embers, giving the fireplace the ability to be utilized and enjoyed year round. 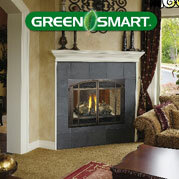 The realistic “wood like” flame, along with the heat output can be controlled by the convenient GreenSmart™ gas valve. 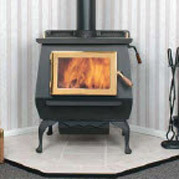 The GreenSmart system features the award-winning split-flow Ember- Fyre™ burner with Comfort Control™ that allows you to turn off part of the burner with the push of the button to really turn down the heat while maintaining the fire and glowing embers. 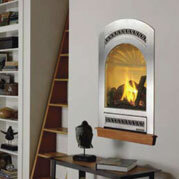 This allows you to comfortably be able to use your fireplace year around. And now the 21 TRV GS come standard with the very popular accent light for an added glow when the fireplace is on or off really showcasing the fireplace in every setting. 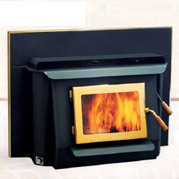 The GreenSmart Intermittent Pilot Ignition (IPI) which allows you to run your fireplace in either standing pilot mode – where the pilot flame stays on which is ideal in really cold climates where it is important to maintain a draft for proper operation, or in the electronic ignition mode (GS), where your pilot flame goes out when you turn off your fireplace saving you precious fuel and money. 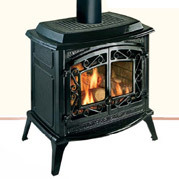 This makes the 21 TRV GS one of the most “Green” fireplaces you can own. 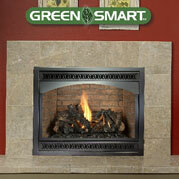 The 21 TRV GS gas fireplace allows you the option of adding the revolutionary “GreenSmart” modulating remote control. You control the flame and heat output manually, run the fireplace on thermostat mode or set your fireplace to the “Smart” mode. The “Smart” mode automatically modulates the fire and heat up and down to maintain the beauty of the fire and room temperature. 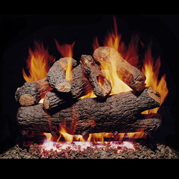 With the “Smart” mode your room will stay at a more constant temperature and you will be able to enjoy the beauty of the fire longer using the same amount or less fuel. The 21 TRV GS can be personalized for each room or home décor. Choose from a range of different face options in a variety of designs and finishes to match many of today’s popular home decors. The 21 TRV comes with standard black interior and can be upgraded with one of the beautiful interior liner options. Finally complete your installation by adding a quiet convection blower that is ideal for circulating the fireplace warmth quickly and evenly throughout the room increasing the overall efficiency of the fireplace. Practical, efficient and beautiful – The 21 TRV GS gas fireplace gives you the ability to add the beauty of fire virtually any room in you home!